about time guys sat down and talked openly about why many women choose the bad boy. In some cases, the men agreed it was logical why women chose the thug or bad guy. In other cases, the women confessed to it being a bad choice because it led to heartache. Some of the unspoken consequences were laid on the table to help women understand the costs of choosing the wrong guy. In a society that says men do not communicate, it appears this is not a fact. When men are given the opportunity to openly discuss their concerns, they are fully engaged. 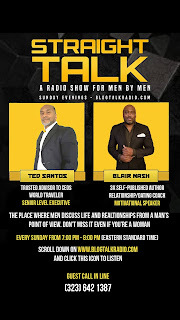 To hear the November 11, show, click here: http://www.blogtalkradio.com/ted_blair/2018/11/12/why-do-women-choose-the-wrong-men. Next Sunday, November 18, from 7:00pm-8:00pm (est) the topic will be just as engaging and perhaps controversial. 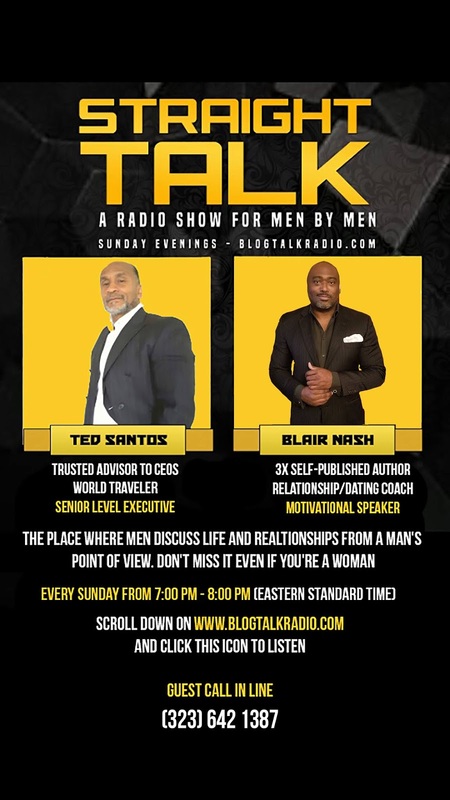 Straight Talk with Ted Santos and Blair Nash is the place where you can speak about the things everyone avoids. Join us!